At Fairham Mouldings we have long prided ourselves on our collaborative approach to working alongside our customers. 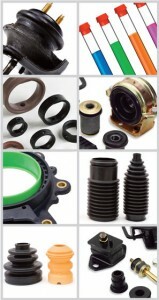 Having derived a wealth of experience from years of manufacturing precision rubber components for clients in numerous industrial sectors, we have refined our process enabling us to provide a product of the highest quality to very precise customer requirements. Our philosophy is one built upon problem solving. 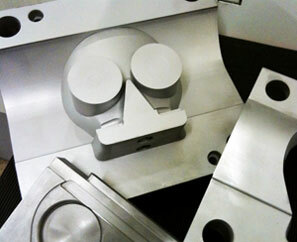 We are happy to take your existing designs and create a mould using them or we can work together to develop your component from the initial concept, before designing and making the mould for your component’s manufacture. Every case is different and we approach new challenges as such. An example of this is when our customer was in the process of building a new foil capping machine, which proved to be quite problematic. Our customer had some trouble with the rubber part used in the foil pressing which was causing static on the foil. Having looked at the issue with the customer we remedied the problem by bonding a thin sheet of PTFE to the silicone part. This wasn’t an easy remedy, as bonding PTFE to silicone is an extremely difficult process, however we managed to successfully bond the materials and as a result the problem was solved. Our commitment is to consistently deliver excellent levels of customer service throughout our operations, and to assist you wherever possible. All our processes from design and development to the high quality product manufacture and finishing operations are finely tuned, giving you the best possible customer experience. We provide a high quality, flexible mould making facility to suit your exact requirements whilst guaranteeing you peace of mind as the customer’s mould will only ever be used for their own application. We make bespoke products for you, and only you.